But as i have gone through the other options in the GUI it seems you also have hardcoded paths for the other available selections. 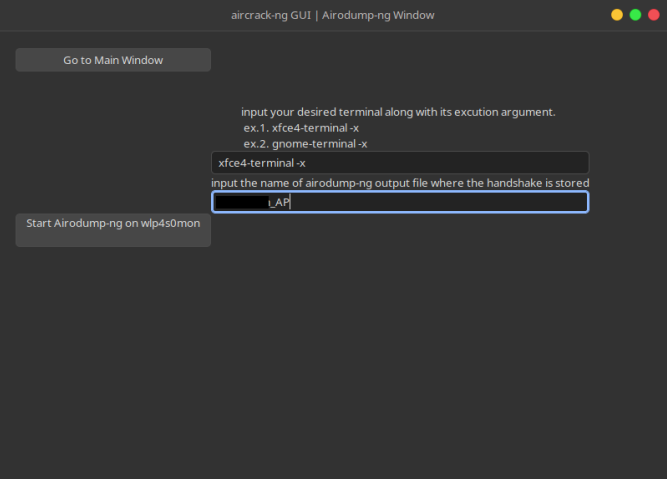 This is my terminal output if i select any of the options available to me in the gui. This is a label related error, it shouldn't have affected functionality, it's fixed and shouldn't show up in the most recent push to the repo. I'm not sure why this is happening, but I couldn't reproduce it. I guess it has to do with the gksudo command that I put for early stage debugging. 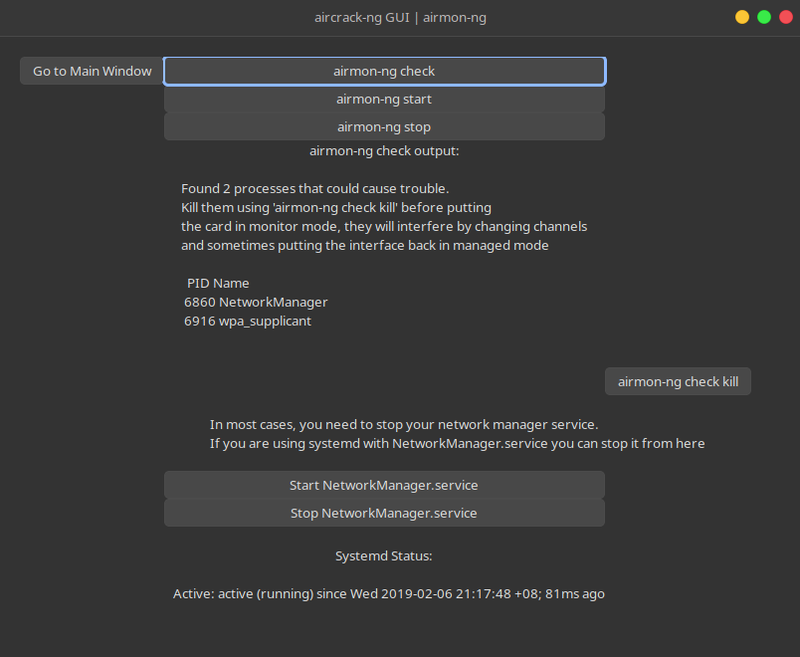 Replaced it with sudo, try to see if it will work. Thanks a lot for the input, will update the instructions as well. 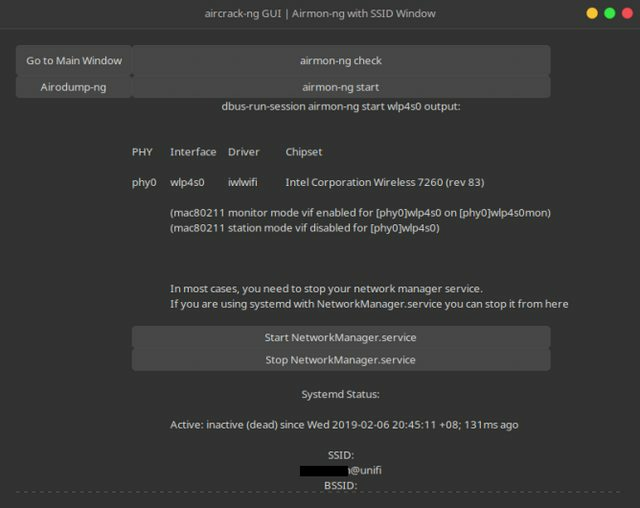 EDIT: I have added an installation method, haven't tried it on other machines yet, planning to do by the next weekend, so it could be buggy, feedback on it would help! Ok I will try to reclone, will get some time before the weekend I hope. I will get back to you . Oh and you should include needed prerequisites and some short install instructions. 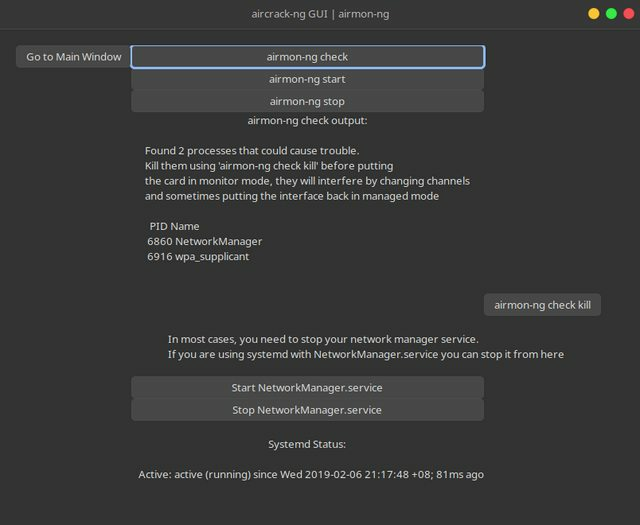 This GUI looks awesome in pix but I was kinda guessing by looking at the code as to what I would need to install for this to work as I was missing some things. Again, thanks for the feedback. I have updated the repo with a better dependencies management and usage instructions. I'm planning to also tarball it into a package that can be installed. Currently busy so the progress is quite slow. So try it whenever you have time. More feedback is much appreciated. 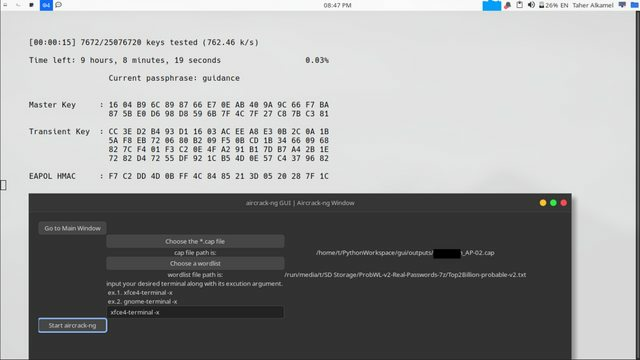 You shouldn't rely on hardcoded path, it's different on a few distro. A few other examples, it can be found in /sbin or /usr/sbin. Ok, I see. Thanks for the info. Will work on it asap. EDIT: I updated the repo in github to not include hardcoded paths. "sh: 1: /bin/iw: not found"
The problem I guess is that you are trying to run it in Python2.X? EDIT: if you're still facing the "sh: 1: /bin/iw: not found" issue, try cloning the repo again since I updated it to not include hardcoded paths. hey this looks really nice ! Thanks alot ! Im going to load it up now . Still a n00b with aircrack tools but this will definitely help out alot . 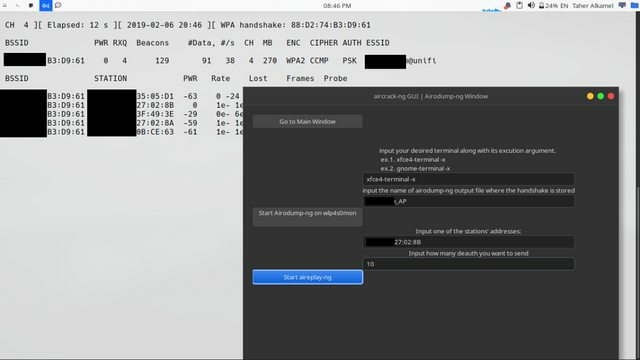 Performing a bruteforce attack on WPA/WPA2 networks using aircrack-ng and iw. 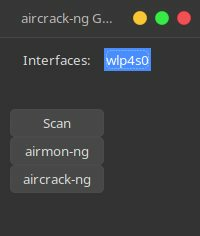 After saving the handshake into a cap file, aircrack can be accessed from the main window. The user chooses a .cap file that contain the handshake and a wordlist to perform the bruteforce attack on their desired terminal emulator.